Laura Broom is currently working on her dissertation, which examines representations of trans identity in contemporary Anglophone novels. She is also interested in body studies, particularly contested notions of gender, race, and personhood in literature and culture. Her teaching experience includes many composition courses, as well as literature classes focused on diversity, race, literary genres, and contemporary novels. 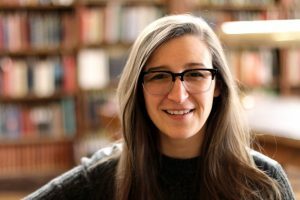 She is currently working on two pedagogy articles for publication, one on teaching trans texts and theories in the undergraduate classroom and the other on service-learning experiences at the university level. 2013, M.A. English and Comparative Literature, UNC-Chapel Hill. 2008, B.A. English, George Mason University. 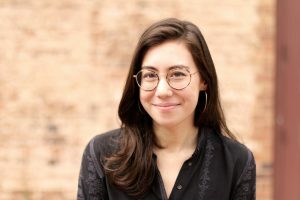 María J. Durán is a PhD Candidate in the Department of English and Comparative Literature and Graduate Assistant for the UNC Latina/o Studies Program. Her dissertation examines portrayals of pain in Latinx literature and the ways it can give birth to or elevate political consciousness to incite resistance and social protest in Latinx communities. 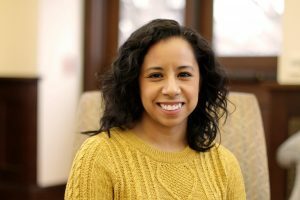 Durán has served as a guest blogger for UNC’s Institute for the Study of the Americas (ISA), and she has published in the leading Chicana/o Studies Journal, Aztlán. She has taught ENGL 105, ENGL 105i Business, ENGL 129, WGST 233, and ENGL 364. As a theatre artist, Durán co-directed a sold-out production of In the Heights(Spring 2017), staged at The ArtsCenter in Carrboro, NC. She was invited to share her theatre work at the National Association of Latino Arts and Cultures (NALAC) Regional Arts Training in Charlotte, NC (Summer 2017). Recently, she directed a staged reading of Just Like Us, a play about undocumented youth by Karen Zacarías (March 2018). She currently serves on the PlayMakers Repertory Company Advisory Council. Durán is an advocate for underrepresented minority education. 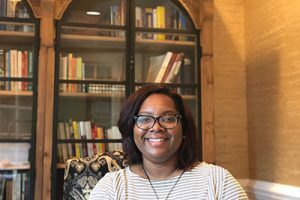 She has worked with The Moore Undergraduate Research Apprentice Program (MURAP) at UNC-Chapel Hill to assist talented underrepresented undergraduate students from diverse backgrounds in their pursuit of doctoral degrees. In Summer 2015, she received the UNC Graduate School’s Richard Bland Fellowship and interned with Juntos, a North Carolina State University cooperative extension program that helps Latinx students achieve higher education. She is also a Carolina Firsts Advocate for undergraduate students and serves on the advisory board for the Carolina Grad Student F1RSTS. In her spare time, Durán enjoys visiting coffeeshops, hot yoga, traveling, and spending time with her two pet bunnies. 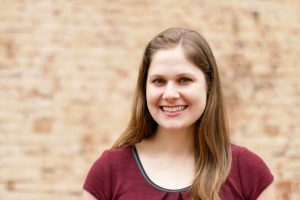 Click here to read about Durán’s decision to pursue graduate studies and what advice she has for prospective graduate students. “Bodies That Should Matter: Chicana/o Farmworkers, Slow Violence, and the Politics of (In)visibility in Cherríe Moraga’s Heroes and Saints.” Aztlán: A Journal of Chicano Studies, vol 42, no 1, 2017, pp. 45-71. “Harvesting Dignity: Remembering the Lives of Farmworkers.” Institute for the Study of the Americas, UNC-CH (December 2012). “Latinos Reach New Highs in College Enrollment.” Institute for the Study of the Americas, UNC-CH (November 2012). Chancellor’s Doctoral Candidacy Award, Initiative for Minority Excellence, UNC-CH (Fall 2017). Mellon Dissertation Grant, Institute for the Study of the Americas, UNC-CH (Summer 2017). Hispanic Scholarship Fund Scholar (Spring 2017). Future Faculty Fellowship Program, Center for Faculty Excellence, UNC-CH (Fall 2016). Florence Brann Eble Summer Research Fellowship, The Graduate School, UNC-CH (Summer 2016). Richard Bland Fellowship, The Graduate School, UNC-CH (Summer 2015). Travel Grant, English and Comparative Literature, UNC-CH (Spring 2017, 2015, 2013, 2012). Moore Undergraduate Research Apprentice Program Fellowship (Summer 2008). 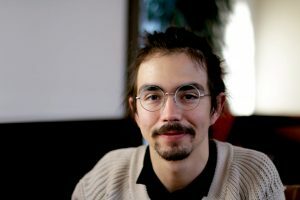 Michael J. Clark is a PhD candidate in Comparative Literature at UNC-Chapel Hill who specializes in Renaissance drama. 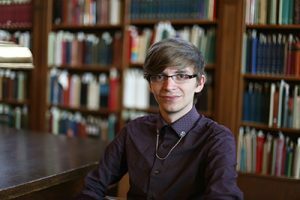 In his dissertation, Michael examines how trust and distrust between patients and physicians are depicted in Italian, English, and French Renaissance comedy. As a comparatist, Michael has studied Italian, Spanish, ancient Greek, Latin, Old English, and Irish, but his primary literatures are English and Italian. His research interests include Renaissance literature, the history of medicine, classical reception, performance studies, translation studies, and pedagogy. 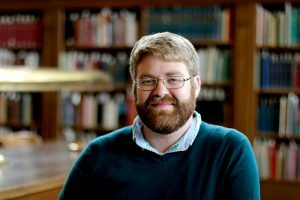 At UNC, Michael’s teaching experience has been cross-disciplinary and has included Italian language courses, first-year composition courses, and introductory literature courses. In addition to these teaching responsibilities, Michael has served as a coach at the UNC Writing Center. When not teaching, writing, or conducting research, Michael likes to travel and to sing.